Our test panel tied down the middle in their opinions of the two book cover designs, a perfect 50-50 split. Respondents offered a wide variety of reasons for their choices. Almost a third of Option A voters cited the finger gun or the gun imagery as pivotal in their choice, while supporters of Option B used words such as professional, classy, and sophisticated. Because the poll author asked two questions, respondents were puzzled as to which book cover design they should choose – the one they thought was most eye-catching, or the one that made them want to read the book? Some respondents clearly voted on the basis of which cover they found more eye-catching, while others used language implying or stating that the question about reading further was their primary motivator. 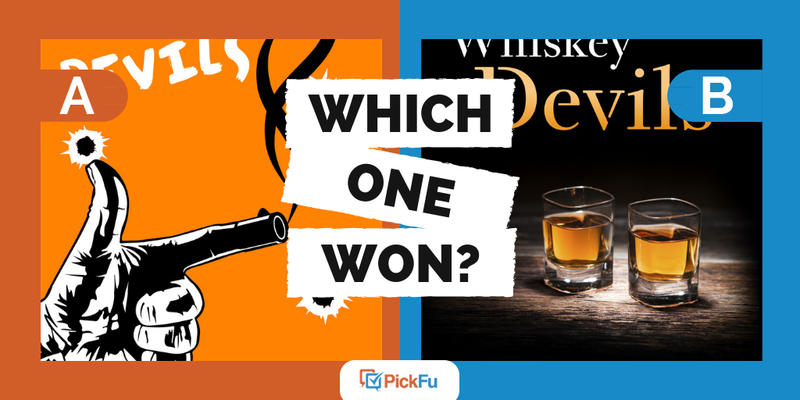 Read our best practices for testing book covers, then create your own PickFu poll here.